The project COFFEEBEAN was planned in the city of Ibagué, Central Colombia, 2010. The realisation was a collaboration with University CUN, especially with Professor Andrés Francel and some of his students. 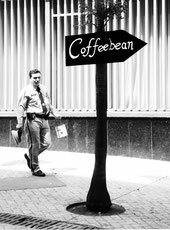 The ambition of COFFEEBEAN was an illustration of associative thinking of society in public space by participation of the citizens. Based on a word association game, a pedestrian on the street was told the first term (coffeebean) and that he should say, immediately, the first term that comes to mind. The pedestrian wrote this word on an arrow and students fixed it in place, for example, on a palm tree or street light. A couple of meters further on, the next passer-by was asked to refer to that term in the same way. 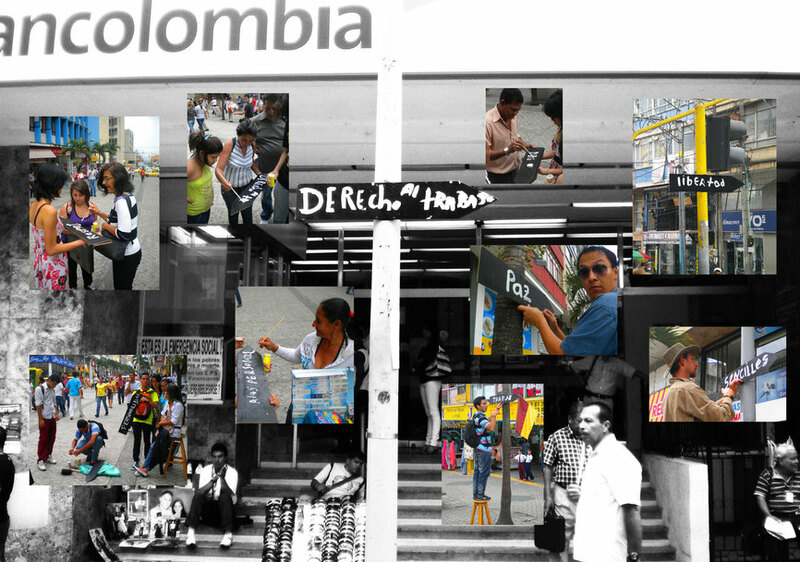 At the end, a fully site-specific "story" was created along the streets, which illustrated the thoughts of the citizens.